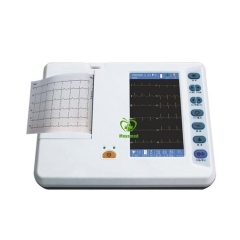 This product is single channel, 12 leads electrocardiograph, can be widely applied in ECG check-up under different circumstances such as in family, hospital consultation, doctor's diagnosis, physical check-up, social medical organizations etc. 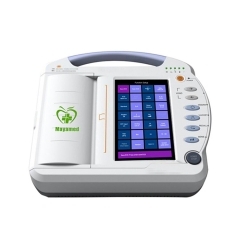 It can implement real time continuous records of clear and exact single-channel ECG waveform using thermal sensitive printer at the same time. Waveforms also can be froze at any time. 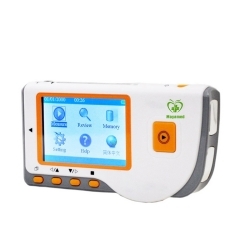 it has manual and automatic modes to be chosen and Chinese/English operation interface, it is easy to be used. 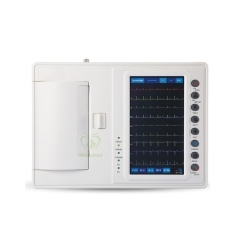 2.7" STN display shows the working status and ECG waveform. Check the waveform before printing to save record paper. Output system:High-resolution thermal-array(8dots/mm),it needs not be adjusted.Recording frequency Response:Up to 150Hz. 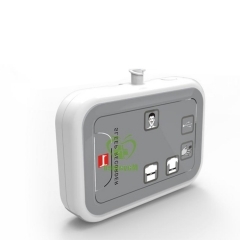 The device can record exact single ECG waveform and remark. The mark includes: lead sign, sensitivity, paper speed, filter state. The language of operation interface include Chinese, English, French, Italian, Turkish, Spanish, German Kazakhstan, Russian. Print language include English, French, Italian, Turkish, Spanish, German Kazakhstan, Russian. 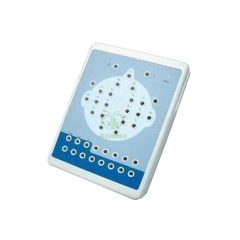 The keyboard's control is whole touch type,it's convenient to operate. 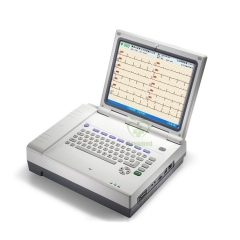 This instrument can record 150 pieces of ECG waveform and print 4 hours continually under the best DC state. According to protection degree of deleterious fluid, this device is IPX0. 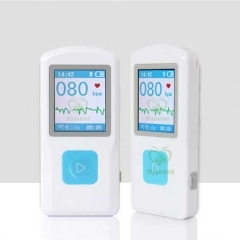 Digital signal processor for effective inhibition of AC,EMG and DFT,receive the better ECG waveform. According to the working mode class, this device belongs to continuous operation equipment. 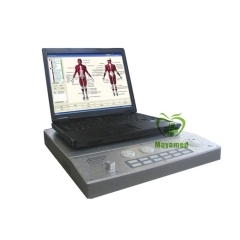 MY-H011A Portable Medical 16 channels Digital..
MY-H023A Portable and easy to operate Easy EC..
MY-H020 Portable Polysomnography Breathing Ap..
MY-H014 portable Bluetooth ECG monitor with C..
MY-H009 medical 4 Channel EMG Machine System..
MY-H007B portable 10 inch touch screen ECG ma..
MY-H006C medical 7 inch touch screen ECG mach..
MY-H006B medical six channel ECG machine（7 in..